From Napoléon to the Impressionists, the Novotel Paris Rueil Malmaison is modern, cozy and welcoming. Give in to the temptation and enjoy the creations of our barman and the chef's famous N'Burger at our Gourmet Bar, with its striking wall of art! Choose curiosity! The Novotel Paris Rueil Malmaison hotel is the perfect place for a unique stay just a stone's throw from the heart of La Defense! Located 10 minutes from the Grande Arche, on the edge of the River Seine and 20 minutes from the center of Paris for a romantic weekend or family break. The comfortable and stylish rooms invite you to relax. There is also a great breakfast, and the Gourmet Bar offers a lively setting for fans of jazz or comedy with a simple and generous menu! Enjoy simple, delicious dishes in the homely setting of the Gourmet Bar. Spacious, contemporary in design, and adaptable, the Novotel room is truly a place for living. Perfect for all your needs. 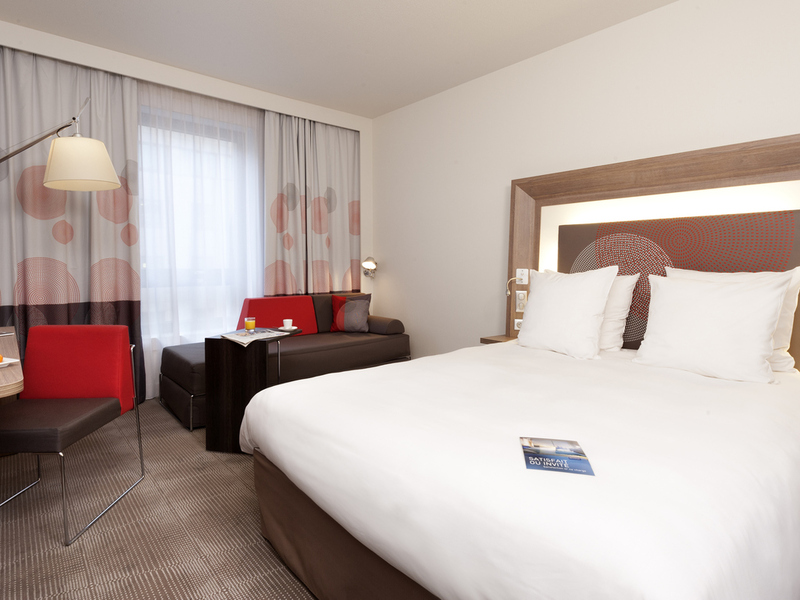 All rooms at the Novotel Paris Rueil Malmaison have a surface area of 269 sq. ft. (25 m²). Choose an Executive Room and enjoy bathrobe, slippers, Nespresso machine and free minibar service. Dine however you want, whenever you want. Enjoy simple, tasty, healthy and balanced cuisine at any time and satisfy all your cravings. Take a moment to relax in the Gourmet Bar or in your room.